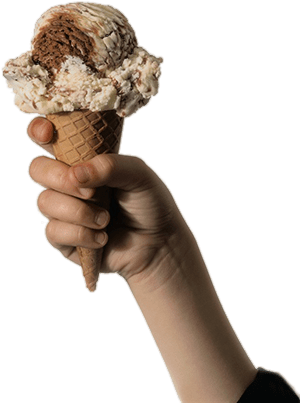 fat, fiber and sugar visuals. 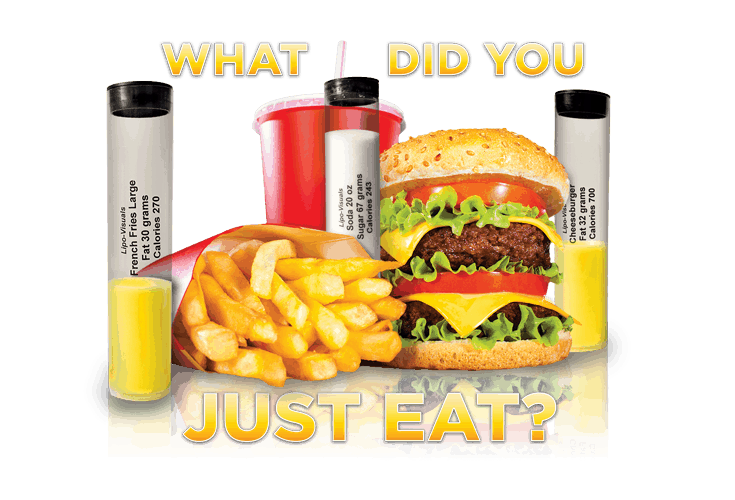 By showing the actual amount of and hidden, unhealthy fat, added sugar, and healthy fiber in nutritional test tubes they will know what their favorite foods are made of..
Show the actual amount of hidden sugar, unhealthy fats, and healthy fiber in foods in a test tube. 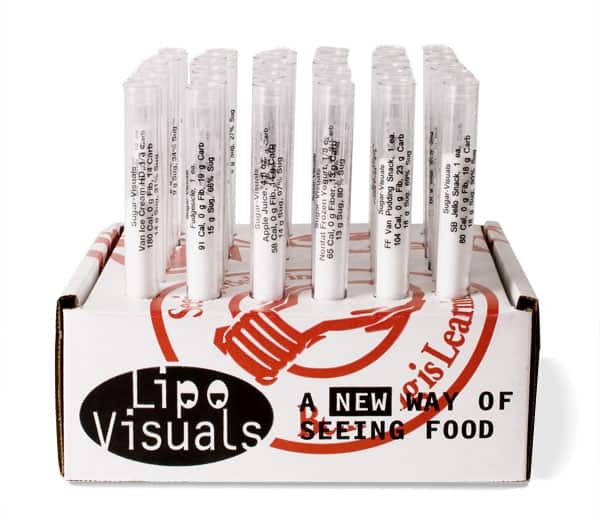 Seeing the fat, sugar, and fiber using Lipo-Visuals fat, sugar, and fiber test tubes will convince them to make healthier food choices. 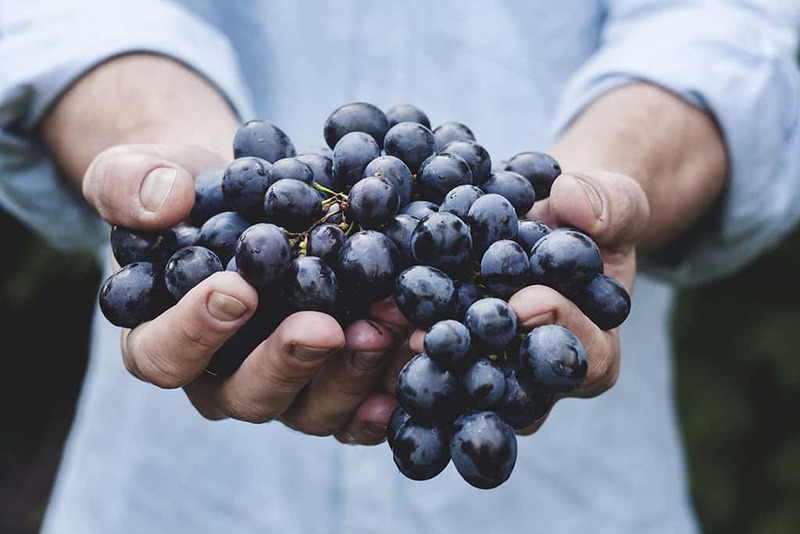 By seeing the actual amount of fat, sugar, fiber, and alcohol in a nutritional test tube your audience will LEARN to make better food choices. 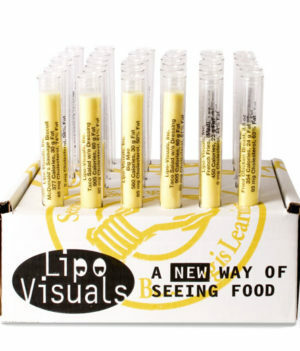 Nutritional test tubes provide a fun way to learn a better way to eat.. 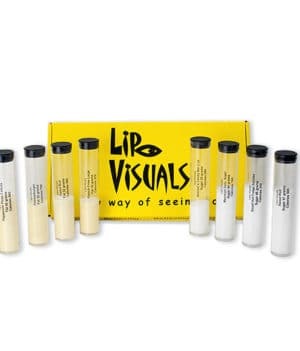 Gay Riley MS, RD, CCN, FMN developed Lipo-Visuals™ fat, sugar and fiber nutritional test tubes to show her clients hidden unhealthy fats and added sugars in foods, as well as healthy alternatives. 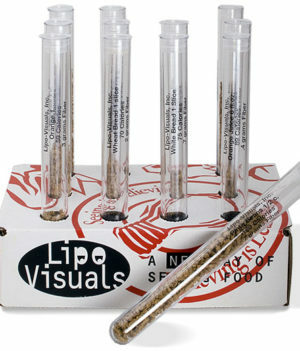 14 different test tube sets are available to choose from, offering a variety of foods. 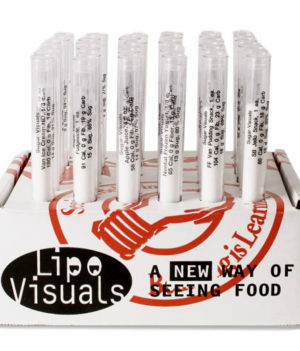 Each nutritional test tube kit set comes with a instructional teaching guide to guide learning with each test tube set..
Small Tubes: choose 12 or 36 tubes in a box that doubles as a display rack. 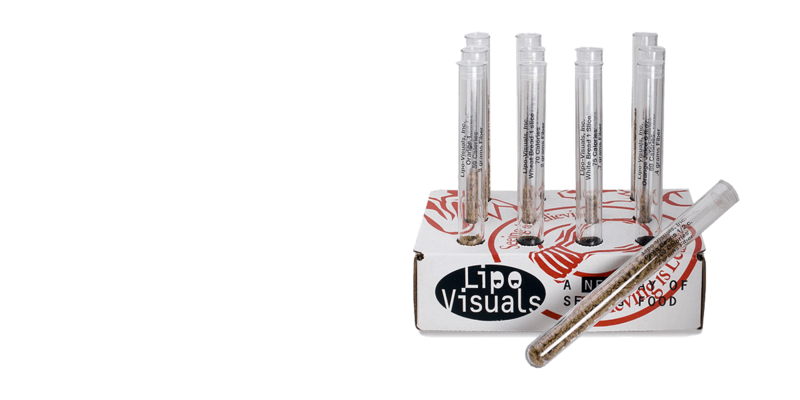 Large Flat Bottom Tubes: 10 per set show larger portion sizes.